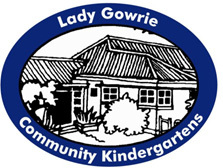 The centre is proudly affiliated with the national network of kindergartens run by Lady Gowrie. This affiliation is significant for Campus Kindergarten for a number of reasons, including professional recognition and invaluable support from Gowrie through an early childhood education consultant. In order to comply with state and federal requirements Campus Kindergarten adheres to a number of comprehensive guidelines and policies. Support form Lady Gowrie ensures that the centre is always undergoing a process of self renewal and improvement. This assures that the highest standard of early childhood educational program is offered and promotes best practice in management. The Gowrie (Qld) Inc is a non-profit, early childhood organisation and a member of the national consortium, Gowrie Australia. Established in 1940 as a demonstration children’s centre by the Australian Government, Gowrie Queensland has grown to encompass ten campuses and thirteen children’s programs. Through the dedication of staff and the commitment to best practice in children’s services, these programs provide a benchmark standard of quality care and education which is widely recognised throughout Australia. The programs are inclusive of all children and are licensed under the Queensland Child Care Act 2002 and Child Care Regulation 2003.